KitKat has promoted its new 11-finger Snap & Share bar with a special package sent to 120 innovative companies. 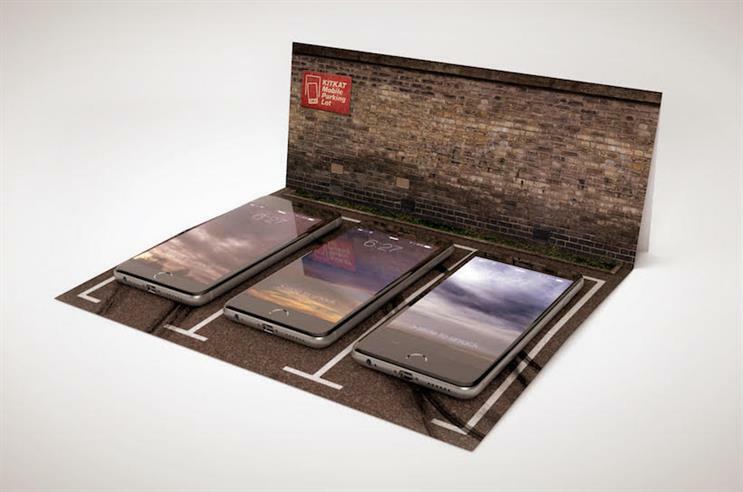 The package included one of the bars and a mock parking lot for people to ‘park’ their mobile phones to enjoy a ‘phone-free’ break. The insight behind the work was that people, especially in a work environment, can’t stay away from their phone and rarely look each other in the eyes even in a meeting. KitKat sent the special package to companies such as Spotify and Citymapper with instructions to park their phones and turn their meetings into a more pleasant sharing break that might inspire their next group-breaking idea.